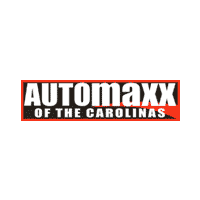 Getting a great vehicle in Summerville, SC is easy when you choose to shop with us here at Automaxx of the Carolinas, and our selection of used Chevrolet models is no exception. No matter which one of these affordable pre-owned ride you pick from, you’ll be choosing a winner every time. Take all the time you need to peruse through the lineup and find the one that calls your name the loudest. All of our used vehicles meet high standards for quality and reliability so, whether you’re interested in the Chevrolet Camaro, Colorado, Cruze, Equinox, Impala, Malibu, Silverado 1500, Sonic, Tahoe, or anything else, you can be sure that value is only matched by affordability. Once you find the right used Chevrolet vehicle here in Summerville, you can talk with our finance center team and secure a loan that makes your driving choice all the easier on your budget. No matter what you decide, we hope to see you here at Automaxx of the Carolinas so we can give you the car-buying experience you’ve always dreamed of.